This series of pages is designed to help teachers as they differentiate instruction for varied learners in the class. Suggested activities include multi-sensory approaches to various mathematical skills and games to help struggling students construct deep meaning for numbers. A mathematics teacher needs to develop the ability to effectively assess student understanding throughout instruction in order to intervene successfully to help all learners achieve daily objectives. Whether a student needs an extended timeline or a different approach, effective teachers are always on the lookout for additional resources and strategies to add to their repertoire. View the new Mathwire.com series: Intervention Strategies Resources to read more about these topics: counting objects, skip counting by 5s, understand and use place value in 2-digit numbers, teen numbers, money activities & strategies, and math mats strategies. 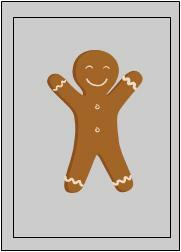 This latest addition to the Math Activity Themes series is a collection of Gingerbread Man Math Activities which include Mathwire.com activities from the Winter 2005 and Winter 2006 collections: links to gingerbread man glyphs, math-literature connections and links to gingerbread man collections on the web. The collection also includes several new Mathwire activities: measurement activities, gingerbread man math mats, gingerbread man graphing ideas, two new gingerbread man games and some new gingerbread man problem solving tasks. Check out the new Gingerbread Man Math Activity Collection for activities and games to enrich your classroom celebrations of gingerbread men and gingerbread houses. Remember to include the Gingerbread House coordinate graphing activity from the Winter 2005 collection for seasonal practice of graphing skills. Don't miss this series of instructional articles! 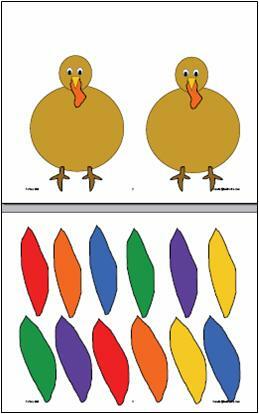 Math mats are wonderful tools for developing mathematical concepts and reasoning. They are also effective assessment tools, enabling teachers to see how students work through a problem, and allowing teachers to work with individuals or small groups for remediation or enrichment, as needed. Finally, math mat work provides a format for mathematical discussion, encouraging students to use mathematical language as they describe their thinking to other students. This series of pages is designed as a resource for teachers as they differentiate instruction for varied learners in the class. Each page discusses how to use the set of mats to develop mathematical understanding and support student growth. There are also suggestions for guided practice, individual practice, center activities, differentation and challenge versions of the different mat activities. This series will continue to grow. New seasonal winter mats are already in development so look for check back for additions to this Mathwire.com resource over the coming months. Check out the latest Mathwire.com collection of Fall Math activities which include spider math, bat math, math-literature connections, coordinate graphing games, seasonal counting mats, glyph projects, problem solving and more. There's still time to include some activities during November. See Fall 2007 Math Activities for seasonal math activities to add to your classroom repertoire. 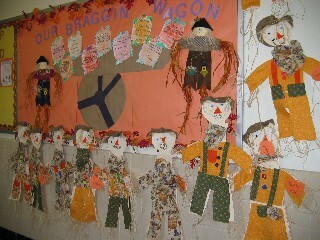 Check out the Fall Math Activities 2006 collection. Fall into Math for fall and Halloween math activities from the 2005 collection. See More Seasonal Math Activities. Now you can search the Mathwire.com site by NCTM Math Standard in addition to the Alphabetical (A-Z) and Math Topics search options. Notice that the Math Standard search option is present in the upper right of the Home and Archives pages for your convenience. Check out the Math Standards option for locating Mathwire.com activities. The new Mathwire Winter 2007 collection of math activities is under construction and is due for publication the week of Thanksgiving so that busy teachers have lots of planning time to include some of the new activities before the holidays. In the meantime, be sure to check out the Winter 2005 and the Winter 2006 Mathwire collections. 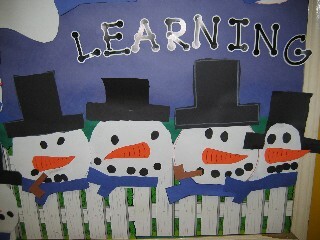 The new Winter 2007 collection will also include links to the next three Math Activities Themes pages: Gingerbread Man Math, Penguin Math and Snowman Math. Each of these pages are a collection of current Mathwire.com activities but each theme contains new activities and pictures as well. You won't want to miss these collections! See the Alphabetical Listing of Mathwire.com Topics.